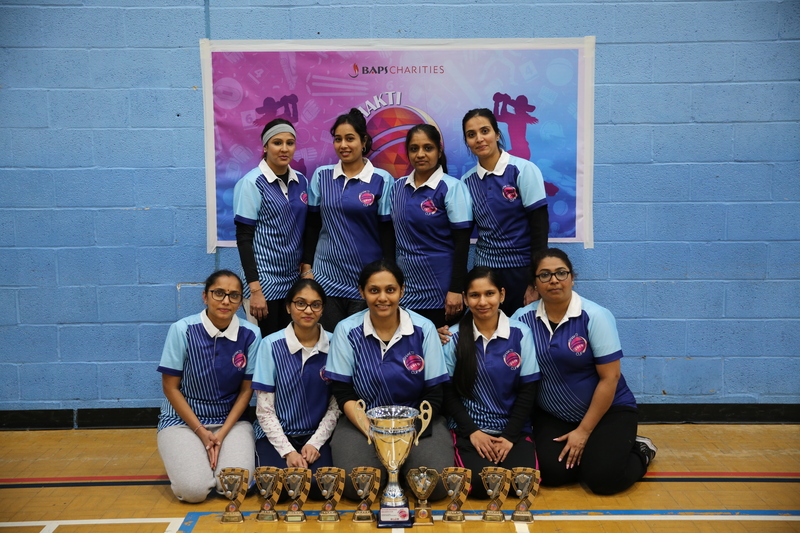 More than 160 players from across the UK participated in the Bhakti Cup – a national community indoor women’s cricket tournament organised by BAPS Charities at Harrow Leisure Centre on Sunday 7 April 2019. 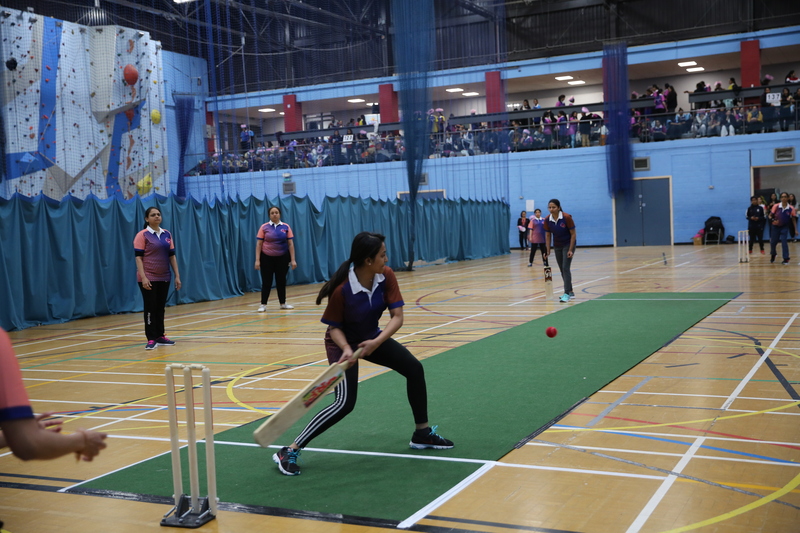 This was the first women’s cricket tournament to be organised by BAPS, and was inaugurated by Sangeeta Theivendra, a talented cricketer and City Programme Executive (London) at the England & Wales Cricket Board (ECB), and Sharon Eyers, Cricket Development Manager at Middlesex Cricket. A signed cricket bat from His Holiness Mahant Swami Maharaj, and the ICC Women’s World Cup trophy granted by the ECB were displayed to commemorate the occasion. The opening ceremony included the reading of blessings from Mahant Swami Maharaj and prayers for the spirit of teamwork and unity to prevail. Sangeeta Theivendra addressed the participants with words of motivation: “Determination, perseverance and passion are the three key ingredients that have helped women to achieve so much in every arena.” She also shared her cricketing journey and spoke of her passion for cricket. Sharon Eyers, recognised as the first woman to secure a job a county cricket club, elaborated on the core values of the game and the spirit with which it should be played. The tournament proved to be an overwhelming success which encouraged youths and adults leading busy lifestyles to engage in some healthy activity and helped foster positive community relations. Many inspiring stories of women juggling their professional and family lives to attend practices and develop their technical cricketing skills provided a testimony of the commitment and passion with which the tournament was received.